Chromium, a transition metal, is used in the production of stainless steel, in corrosion resistant platings and as a pigment in glass. 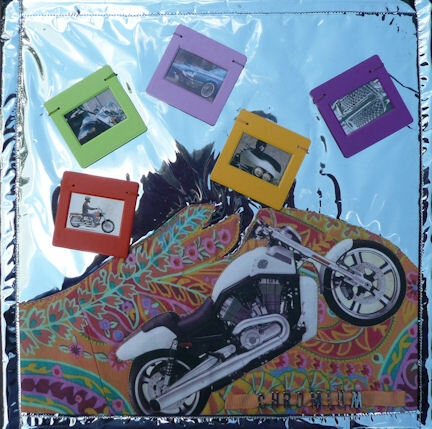 We are more apt to think of it as the shiny parts of our cars and motorcycles. The film carriers on this square are a nod to hexavalent chromium, which was used in the processing of the once popular Kodachrome 35mm slide film. Use of the film declined with the advance of digital photography and it was discontinued by Kodak in 2009. This entry was posted in Transition Metals, View All Elements and tagged Mary Ann. Very cool! We can’t wait to see the whole Table up at the Hjemkomst Center in September!